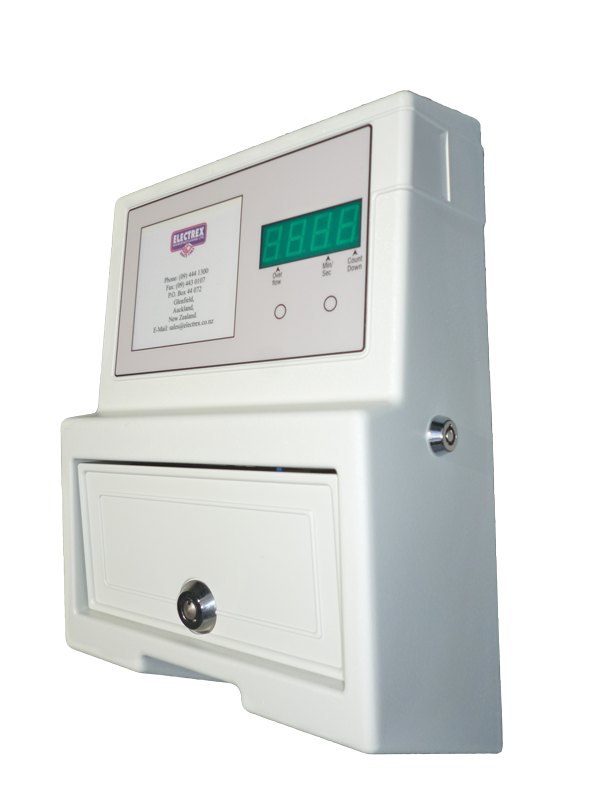 The ET30KL meter is a 30 Amp token or coin operated electronic timer. LCD display shows remaining credit. Credits can be set from 1 second to 99 hours and 59 minutes. Can operate by tokens or 50¢ or $1.00 coins for a set time period, number of power units used etc. Single coin/ token or pre-set tariff per session. Override key-switch for match play & maintenance included. Auto Coin Box Full notification. Sports indoor and outdoor court lighting. ET30KL unit comes as a token timer however it can be converted to accept 50¢ or $1.00 coins. Refer to ET30KL Conversion Kits for more information.